The Sotheby’s International Realty brand also reported growth across its global network. At year-end, the network totaled more than 990 offices in 72 countries and territories and more than 22,500 affiliated sales associates worldwide. In the United States, the Sotheby’s International Realty brand achieved more than $100 billion USD in sales volume in 2018. This year witnessed continued significant growth by the brand’s existing affiliate companies through talent attraction as well as mergers and acquisitions. Most notably, the brand increased its market presence in Essex and the Acton-Boxborough area of Massachusetts; Greater Portland, Oregon; and Nashville, Tennessee. The brand also entered several key new markets last year, namely, Bandon, Oregon; Huntsville, Alabama; the Sandhills Region of North Carolina; Mendocino, Fort Bragg, and Ventura, California. Outside the United States, the Sotheby’s International Realty brand achieved more than $12 billion USD in sales volume in 2018 while continuing to expand into key markets. In Europe, the brand grew its presence in Menorca and Madrid, Spain; Sylt and Bern, Germany; Kitzbühel, Austria; Zurich, Switzerland; and Slovakia. The brand also sold the rights to the island country of Cyprus. In Asia, new offices were opened in Colombo, Sri Lanka; and Bangkok, Thailand, and agreements were signed to expand into Jakarta and Bali in Indonesia, and Ho Chi Minh City and Hanoi in Vietnam and the Maldives. The brand also saw growth in Mexico City, Mexico; the Metropolitan area of Puebla; Valle de Bravo and Malinalco in Estado de Mexico; and Cuernavaca and Tepoztlán in Morelos. 2018 was an impactful year for the brand with the roll-out of new tools and offerings. Sotheby’s International Realty became the first real estate brand to launch and implement a virtual staging augmented reality app, transforming the home buying and selling experience for sales associates and consumers with the launch of Curate by Sotheby’s International Realty℠. Design Vault, a cloud-based ad-builder tool was also unveiled, allowing companies and agents to create advertising, marketing and social assets with ease. The brand entered a custom-publishing relationship with The Wall Street Journal / Barron’s Group to present RESIDE®, a bespoke luxury lifestyle magazine providing affiliate companies around the world a turnkey solution to creating a customized, branded magazine. The publication’s inception also birthed the brand’s new podcast series. In partnership with Inman, an exclusive channel called Leading in Luxury was launched, featuring experts from the Sotheby’s International Realty brand discussing trends, best practices and innovations in luxury real estate. 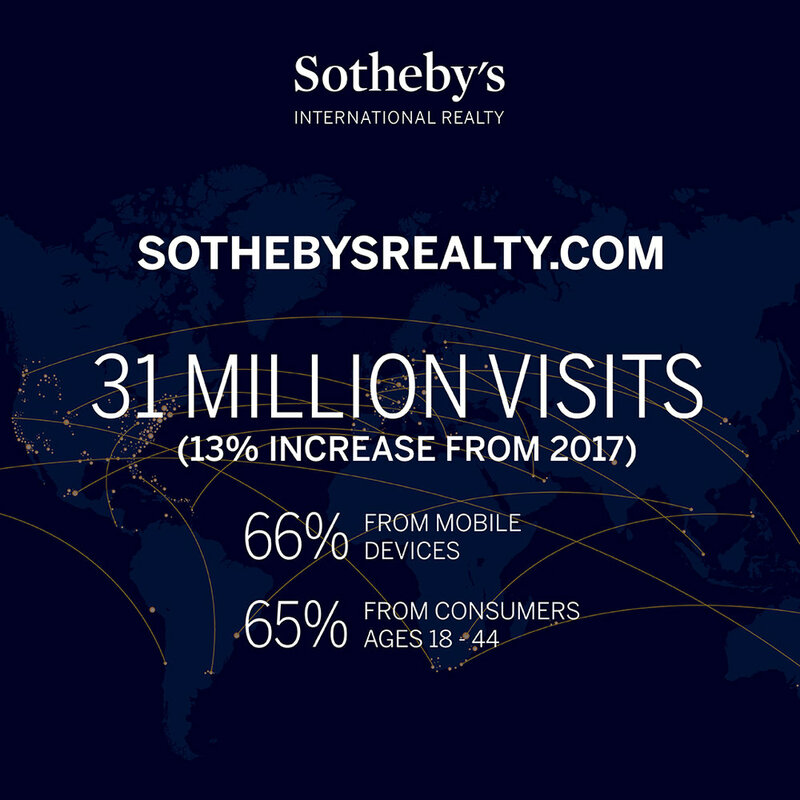 The Sotheby’s International Realty brand website, sothebysrealty.com, saw another record year with more than 30 million visits, a 13 percent increase year-over-year, with 13 percent of traffic generated from new users. Top searches on sothebysrealty.com in the United States included New York, New York; Malibu, California; and Los Angeles, California. Outside of the United States, the top locations searched were London, United Kingdom; Paris, France; Dubai, United Arab Emirates; Lake Como, Italy; and Sydney, Australia. 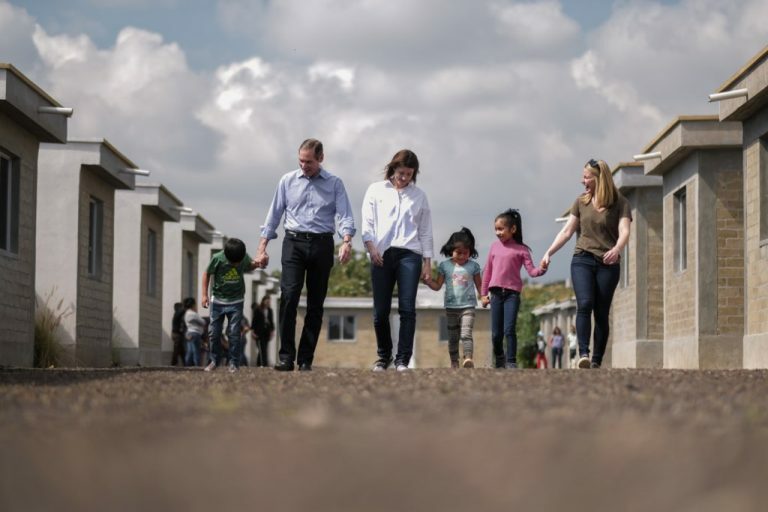 The Sotheby’s International Realty brand’s affiliated companies and sales associates raised nearly $1 million USD to date for New Story, the brand’s charitable partner and a certified 501(c)(3) non-profit organization. The funds raised have gone directly to the construction of new homes in Morelos, Mexico for families who lost their homes in the 2017 earthquakes. The Sotheby’s International Realty® brand claimed 40 of the top 250 sales associates in the Individual Sales Volume category of the 2018 REAL Trends/The Wall Street Journal “The Thousand.” In addition, 12 teams affiliated with the Sotheby’s International Realty brand were recognized as being among the top 250 teams in the nation by sales volume. The annual report ranks America’s top 1,000 residential real estate agents and teams based on 2017 annual sales volume and transaction sides.